Honestly, Sci-Fi isn’t always my go-to genre; I have always been an avid Star Wars fan, but I tend to be quite wary of sci-fi novels as I really struggle to find ones that I can connect with, or that don’t info dump too much (in my opinion). 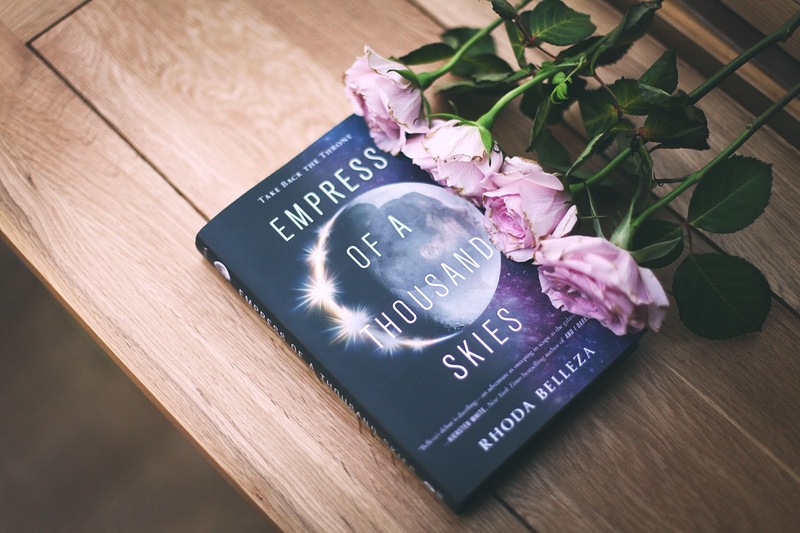 However, when Empress of a Thousand Skies was announced, I jumped straight on the hype train along with everyone else. All I knew about this book was that it was a YA sci-fi, centered around a Princess set on vengeance, full of diverse characters, and I had high hopes for it. I’m happy to say that this book didn’t disappoint. 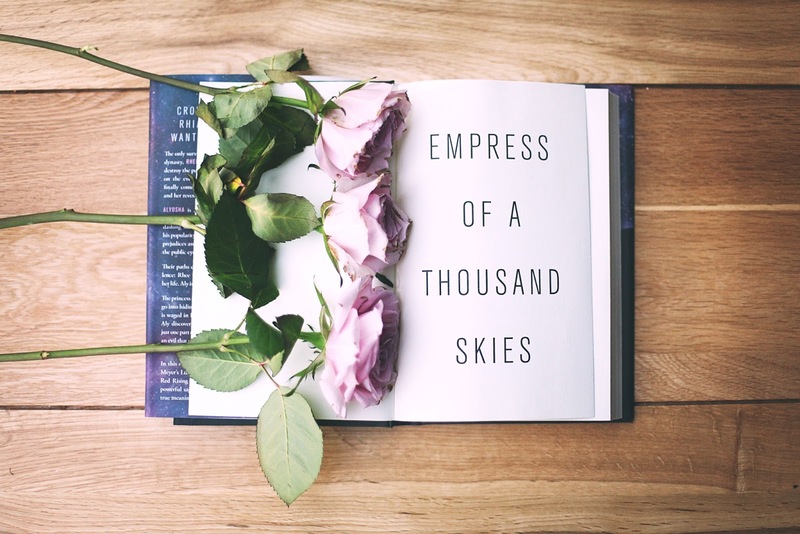 Empress of a Thousand Skies switches between two POV’s – Princess Rhiannon Ta’an (Rhee), the last survivor of the Kalusian dynasty. Rhee is approaching her sixteenth birthday and coronation, but is determined to out her family’s murderer before she is crowned. The second POV character is Alyosha, a Wraetan refugee who has found fame in a DroneVision show, The Revolutionary Boys. When Rhee is attacked during her journey to her home planet a few days before her coronation is planned, the galaxy assumes her dead, and Alyosha is blamed – a scapegoat in a universe still full of prejudices against Wraetans. For me, what really made this book was the incredibly relevant social commentary. Alyosha struggles daily with being Wraetan and being famous – he feels as though his actions will reflect the actions of everyone from Wraeta, his home planet which was destroyed in the last war with Kalu. Despite the treaty between the Kalusians and the Wraetans following the war, tensions are still high between them both, and Alyosha is determined to prove the often racist and stereotypical opinions that the Kalusians have of the Wraetans wrong. However, when he is framed for Rhee’s murder, all of his carefully done hard work goes awry, and war flares back up across the galaxy. Alyosha also has an incredibly emotional backstory, focusing on his journey away from Wraeta before it’s destruction, and his feelings of displacement ever since. I felt as though Alyosha’s story particularly is so relevant to the world we’re currently living in, and it was easy to see the parallels despite him being from a completely fictional planet. Rhee’s side of the story is far more fast paced, and is much more of a coming of age story as she delves into the secrets surrounding the murder of her parents and sister, as well as coming to terms with the differing opinions of her being on the brink of taking the crown at such a young age. Both Rhee and Aly’s stories circle each other and join together in such a perfect way, making the overall plot of this book full of cliffhangers, surprise twists and heartbreaking scenes. I often struggle with world building in sci-fi novels, however the world building in Empress was both easy to follow and complex enough to flesh out the galaxy at the same time. 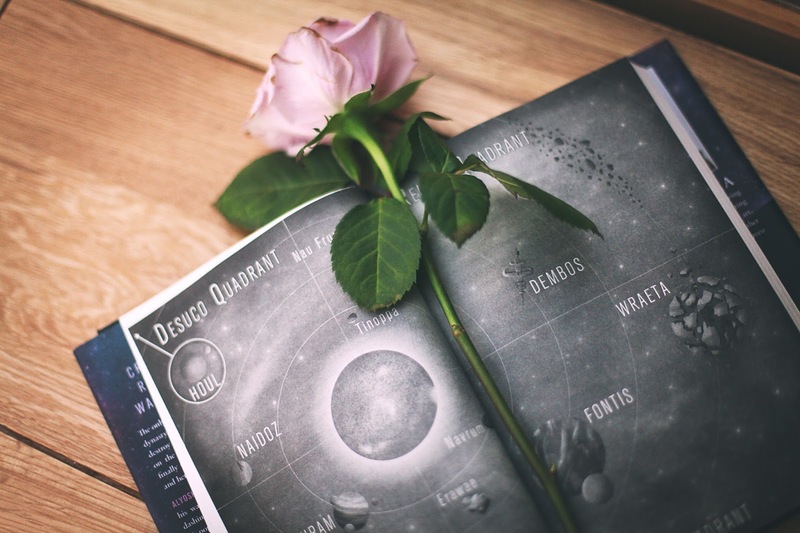 Each of the characters visited multiple planets, moons etc throughout, which I thought really added to the overall plot – why stick to one planet when you have a whole galaxy in your reach? There was also a map and a little glossary at the front – two things which are bound to start a book off on the right foot! If I were to have one criticism, it’d be that I would have liked more character development. I felt as though I could have connected to Rhee more than I did, and hopefully I’ll be more emotionally invested in her story in the second book. Overall, Empress is truly unlike any other sci-fi book I’ve ever read – it’s culturally relevant to our time, whilst remaining fast-paced enough to keep you interested, and is set across a whole galaxy that I can’t wait to see more of in the sequel. I’d definitely recommend this book!